Although it has been known for several years that the wife of Antonina Warowy, wife of Wasyl Demchuk of Sifton, Manitoba, was a daughter of Martin and Mariya (Sołonynka) Warowy, it was not until the 2010 discovery by Borislaw Bilash II that Antonia had a brother, that enough was known to warrant beginning a page on this family. Sections I and II cover the ancestry of Antonina Warowy and her brother, Peter Warowy, of Winnipeg and St. Martin, Manitoba. Section III covers the line of Petro Warowy (or Waroway), of Valley River, Manitoba. Section IV covers the ancestry of Anna Warowy, wife of Stefan Brylinski, of Pine River, Manitoba. Section V covers the line of Kazimierz Warowy, of Pine River, Manitoba. All these lines came from Tsyhany [Цигани], in the parish of Skala, district of Borshchiv, Ternopil’, Galicia, Ukraine, but were not closely related. However, the homestead on which Antonia (Warowy) Demchuk and her husband settled in 1898 was close to that where Petro Warowy and his wife had settled the previous year, and even closer to that of Petro’s son, Stefan, their properties being separated diagonally by only one section of land. Thus those two families, at least, were likely acqainted with one another. Borislaw Bilash II (a descendant of Peter Waroway and Warwara Semczyszyn, for whom see Line III of these notes), formerly of Winnipeg, now of New Jersey, for bringing to our attention the passenger list which records the family of Maria [Sołonynka] Warowy, mother (not sister-in-law as stated in an earlier version of this page) of Antonia Warowy. Diana Kuzyk (a descendant of a possibly related Warowy family which also came from Cyhany), who supplied copies of documents. Gary Duschl (not a Warowy descendant), author of the Kuzyk Family Tree at MyHeritage.com, who generously shared his researches in the Tsyhany church registers, and offered many helpful suggestions as to their interpretation. Mathias Larzycki, of house no. 16, Tsyhany, born 1722-23 (based on his reported age at death, which is perhaps exaggerated), died 31 May 1803 in house no. 16, aged 80 years, and buried as “Mathias Larzycki.” He shared the house with Joannes and Rosalia Parcey, whose son Joannes would marry Mathias’s presumed daughter, Rosalia. Chronological considerations, the long-sustained connection of later Warowys with house no. 16, and the fact that most of the next generation can be shown to have used the surname Larzycki through to about the time of Mathias’s death before settling on the surname Warowy, makes it almost certain that the persons below are his children. No direct evidence for the name of his wife has been found. Certainly she was not the “Hedvigis Larczycka, vidua” who predeceased him on 25 March 1793, dying apparently in house no. 130 [last digit unclear], aged 70 years. She was perhaps Catharina ____, who was born 1732-33 (by calculation), died 26 May 1799 in house no. 16, aged 67 years, and was buried as Catharina “Larycka” (sic), but it is unusual, even at this early period, for a burial record to fail to name the husband of a married woman. It is impossible to say whether she was the same as the Catharina Larzycka who served as godmother at the baptism of a child of Laurentius and Francisca Zylka in 1784, as Mathias Larzycki’s son Mathias likewise married a woman named Catharina. The family’s use of the name Warowy — usually spelled Warowey in the earliest records — has been noted so early as 1786, and again in 1790 and 1794, but Anton (no. iv below) does not seem to have used the name until 1806, and Luca (no. vi below) until 1804. In its earliest recorded forms, the masculine Waraweyczuk (for Mathias, no. iii below, in 1786) and the feminine Wareweyczukowa (for Rosalia, no. vii below, in 1794), it incorporates a diminutive element (-czuk) which did not persist in later versions. Whatever the origin of the name, it is decidely rare; and a substantial proportion of families named Warowey, Waroway, or Warowy can be traced back to Tsyhany. (probably) Marianna Larzycka or Warowey, probably a mature adult by the 1790s. “Marianna Waroweyowa Larzycka” served as godmother to a child of Jacobus Karwacki and his wife Magdalena shortly after 15 February 1790. “Marianna Larzycka” served as a godmother to a child of Paulus “Ponagabko” and his wife Marianna, shortly after 6 July 1796. “Marianna, Mathiæ Lawrowy [reading of surname uncertain]” married before 1798, Martinus Rudnicki, and they had a child, Sebastianus, born 15 January 1798 in house no. 17, Tsyhany. (perhaps) Sophia Larzycka or Warowey, probably a mature adult by the 1790s. “Sophia Warowey” served as godmother to Jacobus Kozak, born 26 October 1793 in house no. 6, Tsyhany. “Sophia Larzycki” served as godmother to Theodorus Kozak, born 23 February 1796 in house no. 7, Tsyhany. “Sophia Laursicka” [? reading unclear] served as Maria Kozak, born 18 March 1797 in house no. 6, Tsyhany. All three were children of Eudoxia Sołonynka and her husband Gabriel Kozak, so the sponsor in the three cases was probably the same woman. The Larycki or Warowy family had multiple assocations with the Sołonynka family. (presumably) Mathias Warowy, born say 1760, perhaps the Mathias Wawry… [ending unclear] who died 11 September 1800 in house no. 53, Tsyhany, aged 40 years. He married by 1786, Catharina G___ (surname given in baptismal record of daughter Regina, but unclear). Regina Waroway, born 11 [September?] 1786 in house no. 16, Tsyhany, baptized as Regina, daughter of “Mathias Waraweyczuk” and “Catharina nata de Thoma G____ [unclear].” Despite the discrepancy in age, she was perhaps the “Regina Wawrzykowa” of Cygany, unmarried woman, aged 22 [implying a date of birth of 1788-89], parentage not stated, who married 16 December 1811 by Catholic rites, Martinus Szuiztakow, widower, aged 40 years. (presumably) Anton Larzycki alias Warowy, born 1762-63 (by calculation), alive in 1806. See Line II. Basilius Larzycki, born 27 January 1792, baptized as a son of Joannes Larzycki and Anna de ____ [illegible], with godfather Mathias Warowey. (presumably) Luca Larzycki alias Warowy, of Tsyhany, born 1769-70 (based on age at marriage), died 28 December 1828 in house no. 41, Tsyhany. See Line V.
Marianna Parcey, born 17 April 1801 in house no. 16, Tsyhany, baptized as Marianna, daughter of Joannes Parcey and Rosalia ____. Michael Parcey, born 9 March 1806, baptized as a son of Joannes Parcey and Rosalia ____. Josef Warowy, born 16 March 1789 in house no. 40, Tsyhany, and baptized as Josephus, son of “Antonius Larzycki” and “Agnes … [surname too faint to read],” died by 1797, when another son was given the same name. Wasyl Warowy, born 5 January 1801 in house no. 40, Tsyhany, baptized in the Roman Catholic church as Blasius, son of “Antonius Larz[yc? ]ki [middle of word extremely faint]” and “Agnes … [surname too faint to read].” See Line III. Martin Warowy, born 7 November 1806 in house no. 110, Tsyhany, baptized in the Roman Catholic church as Martinus, son of Antonius Warowey and Agnes ____ [no surname]. 3. Andreas Warowy, of house no. 80, Tsyhany, son of Anton Warowy and Agnes ____, was born 27 November 1793 in house no. 40, Tsyhany, was baptized according to Catholic rites, and was still alive in 1845 (when his daughter Anna was born); he is possibly the “Andreas Warowy, uxoratus” (house number not stated) who died 8 July 1848, and was buried two days later at Tsyhany, but if so the age at death is surely grossly understated, and to have been a married man (uxoratus) rather than a widower (viduus), he must have had a third wife of whom no other indication has been found. He married (1) before 1818, Teressa Petrykowa, died some time in 1818-31, daughter of Joannes Petrykow. She and her father are named in full in the baptismal record of her son Wasyl, and her first name is given in the baptismal record of her grandson Mathias Warowy (1843). Andreas married (2) (as her second husband), 19 September 1831 at Tsyhany, Agnes Jabłonski, born 1808-09 (aged 22 in 1831), still alive in 1845 (when her daughter Anna was born), died 18 December 1845 in house no. 80, Tsyhany, reportedly aged 40, and buried two days later as “Agnes, Andr[e]æ Warowy uxor,” widow of ________, and daughter of Martin Jabłonski and Pelagia ____ (?). The marriage record names the parties as “Andreas, Antonii et Agnetis Warowy filius,” aged 37 years, widower, and “Agnes, Martini et Barbara [?] Jabłonskich [genitive plural of Jabłonski] filia,” aged 22 years, widow. However, the baptismal records of her daughters Marianna and Anna gives her mother’s name as Pelagia. 4Wasyl Warowy, born 8 January 1818 in house no. 80, Tsyhany, baptized the same day in the Roman Catholic church, Tsyhany, as Blasius, son of “Andreas Warowey” and “Theressa nata par Joanne Petrykow,” with godparents Michael Bazczak and Anastasia Petrykowa, the parents’ condition being given as rustici. Magdalena Mandebur, born 21 January 1858. Marianna Warowy, born 1 December 1836 in house no. 80, baptized as a child of “Andreas, Antoni et Agnetis Warowy filia” and “Agnes, Martini et Pelagiæ Jabłonskich filia,” died 1 March 1852 in house no. 80, Tsyhany, aged 15 years, and buried two days later according to Catholic rites as “Marianna, Andrei et Agathæ [error for Agnetis] Warowych [genitive plural of Warowy] filia,” confusing her parents with her grandparents. Marianna Warowy, born possibly in 1842-43 (if she was 18 at her marriage), and in any case when her older sister Marianna was still alive. She married 11 November 1861 in house no. 97, Tyshany, Valentin Junik, born 1840-41 (by calculation), son of Andreas Junik. Their marriage record names them as “Valentinus, Andreæ Junik [surname extremely faint] filius,” aged 20 years, and “Marianna, filia Andreæ Warowy,” the age being either 18 or else only a 1 with the second digit left blank. Anna Warowy, born about March 1844 (there is a gap in the surviving baptismal register for this period), died 10 September 1846 in house no. 80, Tsyhany, aged 1½ years, and buried two days later according to Catholic rites. Thecla Warowy, born 25 September 1873 in house no. 80, Tsyhany, baptized as Thecla, daughter of “Josephus, Blasii Warowy et Magdalena[e]” and “Zophia Josephi Jakubiszyn et Irenæ,” died 18 March 1878 (annotation in baptismal record). Anna Warowy, born 3 May 1876 in house no. 80, Tsyhany, baptized the same day in the Greek Catholic church as Ann, daughrer of “Josephus, Blasii Warowy et Magdalenæ filius” and “Zofia, Josephi Jakubiszyn et Irena[e] filia, died 17 December 1878 (notation in baptismal record). Anastasia Warowy, born 25 January 1848 in house no. 80, baptized the same day as Anastasia, daughter of “Blasius, Andreæ et Teressæ Warowych filius” and “Magdalena, Mathiæ [sic; error for Simonis] et Franciscæ Twardochlib filia,” died 6 March 1852 in house no. 80, Tsyhany, aged 3 [actually 4] years, and buried two days later according to Catholic rites. Joannes Szczukowski, born 18 June 1882 in house no. 76, Tsyhany, baptized the same day as Joannes, son of “Jacobus, Michaelis Szczukulski [sic] et Helenæ” and “Agnes, Blasii Warowy et Madgalenæ.” The baptismal records are quite explicit about the dates of birth of him and the son Bartholomæus only two months earlier, and do not show either child as dying young. Could they possibly have been twins? Michael Warowy, born 15 July 1855 in house no. 80, Tsyhany, baptized the same day as Michael, son of “Blasius, Andreæ et Teressæ Warowy filius” and “Magdalena, Simonis et Francinæ Twardochlib filia.” died 7 June 1863 in house no. 81 [sic], Tsyhany, aged 7 years, and buried the next day. Petrus Warowy, born 13 July 1888 in house no. 80, Tsyhany, baptized the same day in the Greek Catholic Church as Petrus, son of “Ignatius, Blasii Warowy et Madgalenæ” and “Anna, Petri Eliaszow et Michaelinæ,” died 13 April 1889 (annotation in baptismal record). Antonina (Warowy) Demchuk, from the photograph collection of the late Eugene Blahitka, via his son and daughter-in-law Bill and Mary (Allen) Blahitka. Wasyl Warowy, born 5 January 1801 in house no. 40, Tsyhany, baptized in the Roman Catholic church as Blasius, son of “Antonius Larz[yc? ]ki [middle word extremely faint]” and “Agnes … [surname too faint to read].” Possibly identical with the Wasyl Warowy below. 2Martin Warowy, of Tsyhany, born 1838-39 (aged 24 in 1863). The two daughters at Sifton were Antonia (Warowy) Demchuk, who is named as a survivor in the 1945 death notice of their brother Peter, and Agnes (Warowy) Shykulski, who can be identified through information contained in the account of her husband in Kaye’s Dictionary. Joannes Warowy, born 19 June 1865 in house no. 80, Tsyhany, baptized the same day in the Roman Catholic church as Joannes, son of “Martinus, Blasii Warowy et Irenæ Czornobej [sic] filius” and “Maria, Procopii Solonynka et Agnetis Kubin [an error for Bazczak] filia,” with godparents Carolus Panagabko and Maria Skolonika, died by 1875, when another son was given the same name. The surname of the mother’s mother is in error, apparently resulting from a confusion between Agnes (Bazczak) Sołonynka and her second husband Martin Latusz’s subsequent wife, Magdalena Kubin. Antonina Warowy, born at Tsyhany probably in 1865-66, died 5 October 1963 at Dauphin, stated in her death notice to have been “in her 95th year” (literally, aged 94 years), and on her tombstone to have “lived 95 years,” and buried in the new section of St. Josaphat’s Cemetery (not beside her husband, where there was apparently no room remaining). She married 1 June 1884 in the Greek Catholic Church, Cyhany, Wasyl (“William”) Demchuk, son of Fedor Demchuk and Mariya Panagabka, who was born in December 1856 (per the 1911 census) or in 1857 (according to his tombstone and his nephew D. P. Demchuk) or 1858-60 (marriage record gives his age as 24 in June 1884) or 1 August 1860 (according to the 1901 census) at Tsyhany, died 7 March 1934 at the General Hospital, Dauphin, Manitoba, Canada, allegedly aged “77 yrs.,” and buried in St. Josaphat’s Ukrainian Catholic Cemetery, Sifton. Their marriage record, in latin, records their names as “Antonina, Martinii et Mariae Warowy filia” and “Bazilius, Theodori et Mariae Demczuk filius,” and gives their ages as 18 and 24, respectively. They brought their family to Canada in 1898 on the Christiania, arriving at Halifax on 12 July 1898. Her son her Toma would later tell an interviewer that “My parents arrived in Canada in 1898 and joined the Steve Shykulski family [see below] who arrived in the Sifton area in 1897 [actually 1898].” On 26 August following, “Wasyl Demtchuk, farmer” successfully applied for a patent to the southeast quarter of section 30, township 27, range 20 West of the Principal Meridian, at Valley River, near Sifton, Manitoba. He was naturalized on 31 March 1902. He and his wife are mentioned by his nephew, Demetrius P. Demchuk, as follows: “Wasil Demchuk married Antonia Warowy in Tzihani. Antonia was born in the same village on ____ and died October 5th, 1968 [sic, at least in typewritten copy; should be 1963].” For further details see under Demchuk. 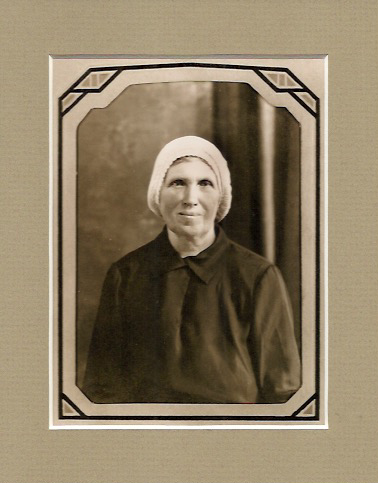 Agatha Warowy, born 20 April 1872 (per baptismal record), baptized in the Roman Catholic church, Tsyhany, as a child of “Martinus, Blasii Warowy et Irenae” and “Maria, Procopii Sołonynka et Annæ [sic].” See Line IIIb below. Michael Warowy, born 24 August 1891 in house no. 171, Tsyhany, baptized the same day in the Greek Catholic church as Michael, son of “Joannes, Martini Warowy et Mariæ” and “Maria, Martini Karwacki et Catarinæ,” died 26 January 1893 (annotation in baptismal record). Fedor Warowy, born 1879-80 (aged 24 in 1904); called a labourer in the 1904 passenger list. He must have died by 12 March 1914, as he is not listed as a survivor in his mother’s death notice. Michael Warowy, born 24 August 1880 in house no. 146, Tsyhany, baptized the next day in the Greek Catholic church as a child of “Martinus, Blasii Warowy et Irenae” and “Anna [an error for Maria], Procopii Sołonynka et Annæ [an error for Agnetis].” No further record found. Michalina Warowy (twin to Josepha), born 4 May 1882 in house no. 146, Tsyhany, baptized the same day in the Greek Catholic church, Tsyhany, as a child of “Martinus, Blasii Warowy et Irenae” and “Maria, Procopii Sołonynka et Annæ [an error for Agnetis],” died 1 September 1886. Josepha Warowy (twin to Michalina), born 4 May 1882 in house no. 146, Tsyhany, baptized with her sister Michalina. No further record found. Peter Warowy, 65, general merchant in Winnipeg and a resident of this city for the past 41 years, died at the St. Boniface hospital Saturday [March 24]. Survivors include his widow, Mrs. Jennie Warowy, 300 Balmoral street; three sons, Theodore, of Winnipeg, Robert, of Regina, and Stanley, of Vancouver; and one sister, Mrs. A[ntonina] Demchuk, of Sifton, Man. The body will rest at the St. John Cantius hall from Tuesday evening until funeral service at 9 a.m. Wednesday at St. John Cantius church. Burial will be made in the Holy Ghost Catholic cemetery. Passed away August 16, 1982, Joanna, widow of Peter Warowy, of 805 West 47th Avenue, Vancouver, formerly of Winnipeg and St. Martin, Manitoba, in her 95th year. Survived by three sons, Theodore of Vancouver, Robert of Sun City, Arizona, and Stanley of Vancouver; three grandchildren, and five great-grandchildren…. Tadeusz (“Theodore”) Warowy, born 27 January 1907 at Winnipeg, listed as “Teddie,” aged 9, in the 1916 census; perhaps the Theodore Edward Waroway who died 18 October 1983 at Vancouver, aged 76 years In his father’s 1945 death notice he is called Theodore Warowy, of Winnipeg. He was however of Vancouver at the death of his mother in 1982. As Tadeusz Warowy he married 25 October 1930 at Winnipeg, Genowefa Helena Holowinska, perhaps the Jean Helen Waroway who died 27 February 1981 at Delta, British Columbia, aged 72 years. Boleslaw (“Bobbie,” later Robert) Warowy, born 6 March 1909 at Winnipeg; listed as “Bobbie,” aged 7, in the 1916 census, but called Robert Warowy, of Regina, in his father’s death notice in 1945. As Robert Warowy he married 25 July 1931 at Winnipeg, Sophie Kraft. He was of Sun City, Arizona, at the death of his mother in 1982. Stanley Warowy, born 1912-13 (aged 3 in 1916), of Vancouver in 1945 and 1982. For fuller accounts of the earlier generations see Line IIIa above. 1. Wasyl Warowy married Irena Czornobaj. 2. Martin Warowy married Mariya Sołonynka. 3. Agatha Warowy (called Agnes in Canadian records), daughter of Martin Warowy and Mariya Sołonynka, was born 20 April 1872 (per baptismal record), baptized as noted above, and died 12 May 1935 at Dauphin, Manitoba, aged 63 years. She married 13 November 1889 in house no. 210, Tsyhany, Stefan Szczukulski (usually Steve Schykulski or Shykulski in Canadian records), born about 1862 (aged 27 in 1889, 72 or 73 in 1935), and said by Kaye to have been 26 December 1862 in the Borshchiv district, Galicia, died 13 June 1935 in the Sifton district, Manitoba, reportedly aged 72 years, son of Adalbert Szczukulski and Rozalia ____. Their marriage record names them as “Agata [sic], Martini et Mariæ Warowy,” aged 17 years, and “Stephanus, Adalberti et Rozaliæ Szczukulski,” aged 27 years. Thus, Kaye’s statement that he was “son of Wasyl Schykulski and Paraskevia Kaskiw” and she “daughter of Wasyl Waroway and Nastasia Solonynka” is seriously confused, but surprisingly enough it does supply the maiden surname of her mother correctly. In adulthood, Agatha seems to have abandonned this name in favor of Agnes, and she is so called in the baptismal records of both of her children, and in every Canadian record we have seen. John Kustra, born 1907-08 (aged 3 in the 1911 census; no birth registration found), died by 1919, when another son was given the same name. Frank Kustra, born 29 March 1914 in the Rural Municipality of Ethelbert, Manitoba. He is found with his parents in 1921, and was of Dauphin in 1958 and 1982. Helen Kustra, born 1916-17 (aged 4 in 1921 when she is called Ellen in the census); alive at the death of her father in 1958. She married by 1958, died Dearle. They were of Calgary, Alberta in 1958. John Kustra, born 1918-19 (aged 2 in 1921), predeceased his father. Earl Kustra, of Dauphin in 1958 and 1982. Frances Kustra, alive at the death of her father in 1958. She married by 1958, Pete Korney. They were of Dauphin in 1958, and of Saskatoon in 1982. Barbara Kustra, alive at the death of her sister Josephine in 2000. She was unmarried and of Dauphin at the death of her father in 1958. She subsequently married before 1982 (when they had at least two daughters), Joe Jenkins, of Winnipeg. Josefus Szczukulski, born 21 January 1893 in house no. 41, Tsyhany, baptized the same day as Josefus, son of “Stefanus, Adalberti Szczukulski et Rozaliæ” and “Agnes, Martini Warowy et Mariæ.” He died before the family’s emigration in 1898. 2Petro (“Peter”) Warowy (or Waroway), born ca. 1847 at Tsyhany. Anna Warowy, born ca. 1876, died 28 April 1955 at Dauphin, aged 79 years.” Kaye, summarizing her death notice, writes that she “married Alex Boychuk in the Old country in 1892 and came to Canada in 1897. Her husband predeceased her in 1945 in Dauphin…. [She] was survived by her four sons, four daughters, and two brothers, Peter Waroway of Dauphin and Stephen Waroway of Winnipeg.” Her husband, Elko (“Alex”) Boychuk, said to have been born in 1868 at Tsyhany, died 7 August 1945 in Gilbert Plains Hospital, receives a fuller account elsewhere in the same work. Joannes Warowy, born 18 May 1882 in house no. 80, Tsyhany, baptized the same day in the Catholic church, Tsyhany, as a child of “Petrus Adalberti Warowy et Agnetis” (“Adalberti” crossed out and erroneously changed to “Andreae” in pencil) and “Barbara Joannis Sencyszyn [sic] et Helenæ Andrzejewski,” died 12 January 1884. Petro (“Peter”) Warowy, of Dauphin, born 27 June 1887 in house no. 80, Tsyhany, baptized the same day in the Greek Catholic church as Petrus, son of “Petrus Adalberti Warowy et Agnetis” and “Barbara Joannis S__cyszen [illegible] et Helena[e],” died 9 April 1968 at Dauphin at the age of 81 years. As Petro Waroway, aged 19 years, of Valley River, Manitoba, born in Austria, bachelor, farmer, Roman Catholic, son of Petro Warowy and Barbara Semczyszyn, he married 22 January 1906 at Sifton, Anna Dragon, aged 16 years, of Venlaw, Manitoba, born in Austria, spinster, Ruthenian Catholic, daughter of Maty Dragan and Maria Iwanczuk. Stephen Waroway, a pioneer of Dauphin district, passed away in St. Boniface hospital Sunday, May 5 in his 85th year. Funeral services were held from the Ukrainian Catholic church of the Resurrection, Thursday, May 9, with Very Rev. Dean G. Oucharyk officiating…. Interment took place in Riverside cemetery…. Stephen Waroway was born and educated in Austria, coming to Canada to Valley River in 1897, where he farmed for eleven years, then moved to Dauphin where he worked for the CNR as a coal-dock operator, retiring in 1944. He had been living in Transcona. He married Ann Hrehirchuk in Sifton in 1900, who predeceased him in 1950. Surviving are three sons and five daughters: John and Peter, Detroit, Michigan, USA; Michael, Glendale, California, USA; Mrs. Mary Bilash, Mrs. J. N. Burgogne (Verna), Winnipeg' Mrs. A. Love (Anne), Toronto, Ont. ; Mrs. J. J. Nowosad (Margaret), Winnipeg; Mrs. Donald Hafichuck (Helen), Transcona. Also surviving are 13 grandchildren, 20 great-grandchildren; and a sister[-in-law], Mrs. Peter Waroway. Janko (“John”) Warowy, born 1902-03 (aged 3 in 1906); of Detroit at his father’s death in 1963. Mary Warowy [twin? ], born 1904-05 (aged 1 in 1906); married 21 July 1926 at Dauphin, Nicholas Bilash. They were both schoolteachers at Zelena, near Sifton, Manitoba. They were of Gardenton at the time of her mother’s death. They were the parents of Dr. Borislaw N. Bilash, Assistant Coordinator of Modern Languages for the Winnipeg School Division. Michael Warowy [twin? ], born 1904-05 (aged 1 in 1906); of Vernon, born C., at the time of his mother’s death in 1950, and of Glendale, California, at his father’s death in 1963. His grandnephew Borislaw Bilash II explains that he was named Mykola in Ukrainian and was intended to be known as Nicholas, but was mistakenly registered as Michael. He was known as Mykola or Nicholas until he moved to the Detroit area, where he became known as “Mickey.” The confusion is reflected in the fact that the newspaper announcement of his marriage calls him “Mr. Nicholas Waroway of Dauphin,” but the official record calls him “Michael Waroway.” He married 26 (newspaper announcement) or 27 (official record) December 1924 at Detroit, Michigan, Charlotte Maksimiec, of Detroit. This couple is found at Hamtramck City, Wayne County, Michigan, in the 1930 and 1940 censuses. Michael Warowy [the younger one of this name], died in Oregon. His grandnephew Borislaw Bilash II explains that he was correctly registered as Michael, was known in his youth as “Mikey,” and was later as “Buddy.” Waroway. In his early years, Buddy was known as Mikey. Peter Warowy, of Detroit, Michigan, both at his mother’s death in 1950 and at his father’s death in 1963. Stefan Warowy (twin to Verna), died young of flu. Warwara (“Verna”) Warowy (twin to Stefan); married J. N. Burgoyne, of Saskatoon, Saskatchewan. Anne Warowy, alive at the death of her sister Helen in 2003; married A. Love, of Toronto, Ontario. Margaret Warowy; married J. J. Nowosad, of Winnipeg. Helen Warowy (youngest child), born 25 July 1918 at Dauphin, died 10 June 2003. She married 1950 at Dauphin, Dmetro (“Don”) Hafichuk, of Transcona, Manitoba, born 6 October 1923, died 30 August 2002. They moved to Winnipeg in 1954 and were involved in the establishment and operation of two family businesses, National Foodland Ltd. and Sell-Rite Wholesale. 2. Luca Warowy, of Tsyhany, probably born 1769-70 (based on age at marriage), died 28 December 1828 in house no. 41, Tsyhany, aged 60 years [probably overstated], and buried the next day according to Roman Catholic rites. The record calls him “Lucas Warowy, viduus,” indicating that he was a widower. As with Anton Warowy, the founder of Line II above, it seems that this man’s original surname was Larzycki, the name under which he was married, and which appears in the baptismal records of his first two children. In the 1804 baptismal record of his son Adalbert his surname is given as Warowey, the name used (with variations in spellings) by his descendants. He married (as her second husband) 18 May 1794 at Tsyhany, by Roman Catholic rites, Marianna Podgurska, born 1769-70 (based on age at marriage), died 8 May 1824 in house no. 41, Tsyhany, aged 57 years [probably overstated], and buried 2 days later as “Mariana, Lucæ Warowy uxor,” daughter of Sebastian Podgurski (who is named in the baptismal record of her daughter Francisca). Their marriage record names them as Lucas Larzycki, aged 24 years, unmarried man, and Marianna P_____ie, aged 24, widow; the bride’s surname is not very clear, but is the right length to be a form of Podgurskie, in agreement with her name as given in the baptismal records of her first three children. A Marianna Larzycka served as a godmother to a child of Paulus “Ponagabko” and his wife Marianna on 6 July 1796, but this was after the marriage of Luca Larzycki alias Warowy (no. iii immediately below) to Marianna Podgurska in 1794, so this woman could be Luca’s wife. The Tsyhany church registers rarely if ever name former spouses in marriage records, but considering the chronology, it seems practically certain she was the Marianna Podgurska, unmarried woman, age not stated, who married 14 [December?] 1784 in house no. 41, Thaddæus Paraskiewicz, unmarried man, age not stated. House no. 41, Tsyhany, in which the 1784 marriage occurred, was also the scene of the 1785 marriage of Marianna’s contemporary and possible brother, Anton Podgurski, whose daughter Marianna later married Michael Baszczak. So perhaps the house, in which Marianna later lived with Luca Warowy, was brought by Marianna to the marriage. 3Martin Warowy, born 11 October 1795 in house no. 41, Tsyhany, baptized Martinus, son of Luca Lazy____ [end of surname illegible, but this would be some form of the family’s original surname of Larzycki] and Marianna de Podgurska. Thomas Warowy, born 17 December 1798 in house no. 41, Tsyhany, baptized as Thomas, son of “Lucas Larzycki” and “Marianna, nata de Podgurski.” See Line VI. Ignatius Warowy, born 27 July 1801 in house no. 41, Tsyhany, baptized as Ignatius, son of “Lucas Larzycki” and “Marianna de Podgurski nata,” with godmother Agnes Larzycka [perhaps the wife of Anton Warowy who heads Line II]. Adalbert Warowy, born 31 October 1804, baptized as Adalbertus, son of “Luca Warowey” (the mother’s name, Maria____, being followed by some illegible words), alive in 1858 (at his second marriage) but evidently predeceased his second wife, who at her own burial in 1881 is called widow (vidua) rather than his wife (uxor). He married (1) 28 February 1828 in house no. 136, Tsyhany, Anna Szczukulski, born 1811-12 (based on stated age at marriage), died 12 June 1853 in house no. 114, Tsyhany, supposedly aged 37 years [doubtless an understatement as it would make her 12 at marriage], and buried as “Anna, Adalberti Warowy uxor,” daughter of Joannes Szczukulski and Marianna ____. Their marriage record names them as “Adalbertus, Lucæ et Mariannæ Warowey filius,” aged 24 years, and “Anna, Joannis et Mariannæ Szczukulskich [genitive plural of Szczukulski], filia,” aged 16 years. He married (2) 12 May 1858 in house no. 41, Tsyhany, Catharina Weglarz, born around 1815 (aged 41 in 1858, 70 in 1881), died 20 April 1881 in house no. 245, Tsyhany, aged 70 years, and buried two days later as “Catharina, vidua Adalberti Warowy,” daughter of Adalbert Weglarz and Marianna ____. Their marriage record names them as “Adalbertus, Lucæ et Mariannæ Warowy filius,” aged 48 years, and “Catharina, Adalberti et Mariannæ Weglarz filia,” aged 41 years. Nicolaus Warowy, born 25 November 1806 in house no. 111, Tsyhany, baptized as Nicolaus, son of Luca ____ [left blank] and Marianna ____, with godparents Josephus Makahon and Sophia [?] Kubina. The record contains no surname for the child or for the father, but every other baptismal record in this period where the parents’ names are Luca and Marianna belong to children of this couple, and this child fits well in the sequence of their issue. The names Nicolaus and Michael are somewhat prone to confusion, and it is possible this was the “Michael, Josephi [sic] et Mariannæ Warowejuw filius,” aged 24 years, who married (as her second husband) 23 February 1829 in house no. 139, Losiac, “Agnes, Mathiæ Waliduda uxor vidua, Mathiæ et Marian[n]æ Jasienkowych filia,” aged 36 years. The groom’s stated age implies a date of birth of 1804-05. In the same house on 17 June 1829 were born twins, Thomas and Jhosepa [sic], recorded as children of “Michael, Lucæ et Mariannæ Warowey filius” and “Agnes, Matheie [sic] et Marianne [sic] Jasienkuw filia.” On the basis of these records, it cannot be said with certainty whether the name of the father’s father was Luca or Josephus. Anton Warowy, born 14 January 1835 in house no. 41, Tsyhany, baptized as Antonius, son of “Martinus, Lucæ et Mariannæ Warowey” and “Francisca, Nicolai et Mariannæ Kubyn filia,” died 24 April 1835 in house no. 41, Tsyhany, aged 4 months, and was buried two days later according to Catholic rites. Nicolaus Warowy, born 13 July 1875 in house no. 41, Tsyhany, baptized the same day in the Greek Catholic church as Nicolaus, son of “Adamus, Martini Warowy et Francisca[e] filius” and “Anna, Petri Kudrewicz et Mariæ [an error for Catharinæ] filia,” died 13 November 1878 (annotation in baptismal record). Joannes Warowy, born 12 February 1877 in house no. 41, Tsyhany, baptized the same day in the Greek Catholic church as Joannes, son of “Adamus, Martini Warowy et Irena[e] [an error for Franciscæ] filius” and “Anna, Gregorii Wiszniewski et Catharina[e] filia,” died by 1886, when another son was given the same name. Joannes, born 15 February 1858 in house no. 41, Tsyhany, baptized the same day in the Roman Catholic church as Joannes, son of “Adalbertus, Martini et Francinæ Warowy filius” and “Apolonia, Thimothei et Francinæ Wawryk filia,” died 19 July 1863 in house no. 41, Tsyhany, aged 5 years, and buried the next day as “Joannes, Adalberti Warowy et Apoloniæ Szczukulski,” with “Szczukulski” [actually the maiden surname of Apolonia’s mother] crossed out and changed to “Junik.” The baptismal record assigns an erroneous parentage to the child’s mother, Apolonia, but perhaps her mother had remarried and Thimotheus Wawryk was a second husband. Anna Warowy, born 9 May 1861 in house no. 41, Tsyhany, baptized the same day in the Roman Catholic church as Anna, daughter of “Adalbertus, Martini Warowy et Franciscæ” and “Apolonia, Joannis et Francinæ Cerkownik,” died 23 December 1864, aged 3 years, and buried as “Anna, Adalberti Warowy et Apoloniæ Junik filia.” The baptismal record again assigns an erroneous parentage to the child’s mother Apolonia, but perhaps her mother had remarried again and Joannes Cerkownik was a third husband. Maria Warowy, born 1870-71 (by calculation; no baptismal record found). She married (as his second wife) 8 March 1892 in house no. 41, Tsyhany, Onofrius Bespalko, born 1855-56 (by calculation), son of Nicolaus Bespalko and Marta ____. Their marriage record names them as “Maria, Adalberti et Apoloniæ Warowy filia,” aged 21 years, unmarried woman, and Onofrius, Nicolæ et Martæ Bespalko,” aged 36, widower. 5Anna Warowy, born 15 June 1874 in house no. 41, Tsyhany, baptized the same day in the Greek Catholic church as Anna, daughter of “Adalbertus, Martini Warowy et Mariæ [an error for Franciscæ]” and “Apolonia, Thomæ Junik et Franciscæ,” with godparents Nicolaus Sandulak and Maria Caruk. died 16 December 1926, aged 62 years. 5. Anna Warowy, daughter of Adalbert Warowy and Apolonia Junik, was born 15 June 1874 in house no. 41, Tsyhany, and died 16 December 1926, aged 62 years. She married 27 January 1901, Stefan Brylinski (Brelinski or Berlinski in Canadian records), of Pine River, Manitoba, born 9 January 1878 in house no. 95, Tsyhany, died 23 February 1973 at Swan River Valley Hospital, and buried in Fletcher Ridge Cemetery, Pine River, son of Antony Brylinski and Katarzyna Kostiuk, and brother of Petronela Brylinski in Line VI. He was baptized on the day of his birth in the Greek Catholic church, Tsyhany, as Stephanus, son of “Antonius, Francisci Brylinksi et Anna[e] filius” and “Catharina, Gregorii Kostiuk et Magdalenæ.” They came to Canada in 1902, and had six children. Petrus Warowy, born 21 October 1821 in house no. 41. Michael Warowy, born 2 January 1823 in house no. 41, died 10 February 1839 in house no. 119, aged 16 years, and buried two days later according to Roman Catholic rites. Catharina Warowy, born 6 April 1825 in house no. 127, Tsyhany. She married 13 May 1844 in house no. 127, by Catholic rites, Demetrius Czornij, born 1821-22 (by calculation), son of Wasyl Czornij and Catharina ____. Their marriage record names them as “Demetrius, Basilii et Catharinæ Czornijowych [genitive plural of Czornij, or conceivably of Czornijow],” aged 22 years, and “Catharina, Thomæ et Apoloniæ Warowych [genitive plural of Warowy] filia,” aged 19 years. 4Jacob Warowy, born 1826-27 (aged 22 in 1849). Franciscus Warowy, born 29 September 1829 in house no. 110, died 15 June 1830 in house no. 127, Tsyhany, and buried as “Franciscus, Thomæ et Helenæ [an error for Apoloniæ] Warowey filius,” his age being erroneously given as 4 years. Franciscus Warowy, born 10 October 1830, died 13 October 1830 in house no. 127, aged 4 days (sic). Michael Warowy, born 19 September 1879 in house no. 127, Tsyhany, baptized as Michael, son of “Jacobus, Thomæ Warowy et Reginæ [an error for Apolonia]” and “Maria, Alexii Senczyszyn [sic] et Mariæ.” He was thus given the name Michael was his elder half-brother of the same name was still alive. 6Kazimierz Warowy, born 3 March 1879 at Tsyhany. Petro Warowy, born 7 July 1881 in house no. 64, baptized the next day in the Greek Catholic church as Petrus, son of “Michael, Jacobi Warowy et Mariæ” and “Catharina, Joannis Rudnicki et Annæ,” died 9 January 1882 in house no. 64, Tsyhany, and buried the next day as “Petrus, Michaelis Warowy et Catharina[e] Rudnicka filius,” aged ½ year. Josef Warowy, born 4 February 1888 in house no. 64, Tsyhany, and baptized the same day as Josefus, son of “Michael, Jacobi Warowy et Mariæ” and “Catarina, Joannis Rudnicki et Annæ,” died 8 December 1892 (annotation in baptismal record). Maria Warowy, born 1896-97 (by calculation; no baptism found), died 24 January 1899, aged 2 years. Petro Warowy, born 4 March 1891 in house no. 64, Tsyhany, and baptized the next day in the Greek Catholic church as Petrus, son of “Michael, Jacobi Warowy et Mariæ filius” and “Catarina, Joannis Rudnicki et Annæ filia,” died 29 December 1892 (annotation in baptismal record). Ann Warowy, born in March 1903, died in April 1978; married 20 February 1919 at Ethelbert, John Rumak, born 1893, died 1983, and had issue. Joe Waroway, born 29 January 1907, died 1977; married 29 January 1927 at Ethelbert, Carolina Caruk, born 1910, died 1978, and had issue. Angela Lillian Waroway, born 8 August 1908, died 1990; married 4 February 1935, William Louma, born 1908, died 1981, and had issue. Michael Waroway, born 16 November 1910 at Ethelbert, died 1969; married 2 November 1930 at Ethelbert, Emily Chornoboy, born 24 September 1912, died ____, daughter of Michael Chornoboy, from Tsyhany, and his wife Mary ____. They had one child. Mary Waroway, born 1917, died 1980; married Iwan Nebelsky, born 1906, died 1975, and had issue. Peter Waroway, born 22 March 1920, died 2006. He had a common-law wife, ____ Woloshyn. Jennie Warowy, born 29 March 1923, died 26 August 1994; married 14 October 1940 at Flin Flon, Manitoba, Michael Kuzyk, born 18 September 1913, died 26 September 1985, son of Dmytro (“Metro”) Kuzyk and Anna Zabiaka. They have four children, including Diana Kuzyk, our informant. 1. Vladimir J. Kaye, Dictionary of Ukrainian Canadian Biography [vol. 1] — Pioneer Settlers of Manitoba, 1891-1900 (Toronto, 1975), 108-9. 2. See the map in Ewanchuk, Pioneer Settlers: Ukrainians in the Dauphin Area, 1896-1926, p. 95. 5. Roman Catholic church, Tsyhany, baptismal register, from extracts supplied by Gary Duschl. 6. Roman Catholic church, Tsyhany, baptismal register, from extracts supplied by Gary Duschl. 8. Roman Catholic church, Tsyhany, baptismal register, from extracts supplied by Gary Duschl. 10. Roman Catholic church, Tsyhany, baptismal register, from extracts supplied by Gary Duschl. 11. Roman Catholic church, Tsyhany, marriage register, from extracts supplied by Gary Duschl. 12. Roman Catholic church, Tsyhany, marriage register, from extracts supplied by Gary Duschl. 13. Roman Catholic church, Tsyhany, baptismal register, from extracts supplied by Gary Duschl. 14. Roman Catholic church, Tsyhany, marriage register, from extract supplied by Gary Duschl. 15. Catholic church, Tsyhany, burial register, from extracts supplied by Gary Duschl. 16. We are grateful to Gary Duschl for this suggestion. 17. Catholic church, Tsyhany, baptismal register, from extracts supplied by Gary Duschl. 18. Catholic church, Tsyhany, baptismal register, from extracts supplied by Gary Duschl. 20. Both baptisms from Roman Catholic church, Tsyhany, baptismal register, from extracts supplied by Gary Duschl. 21. Roman Catholic church, Tsyhany, burial register, from extracts supplied by Gary Duschl. 22. Roman Catholic church, Tsyhany, burial register, from extract supplied by Gary Duschl. 23. Roman Catholic church, Tsyhany, burial register, from extract supplied by Gary Duschl. 24. Roman Catholic church, Tsyhany, baptismal register, from extracts supplied by Gary Duschl. 25. Roman Catholic church, Tsyhany, marriage register, from extract supplied by Gary Duschl. 26. Roman Catholic church, Tsyhany, baptismal register, from extracts supplied by Chris Bostwick. 27. Roman Catholic church, Tsyhany, baptismal register, from extracts supplied by Gary Duschl. 28. Roman Catholic church, Tsyhany, burial register, from extract supplied by Gary Duschl. 29. Roman Catholic church, Tsyhany, marriage register, from extract supplied by Gary Duschl. 30. Roman Catholic church, Tsyhany, baptismal register, from extract supplied by Gary Duschl. 31. Roman Catholic church, Tsyhany, burial register, from extract supplied by Gary Duschl. 32. Roman Catholic church, Tsyhany, baptismal register, from extract supplied by Gary Duschl. 33. Roman Catholic church, Tsyhany, burial register, from extract supplied by Gary Duschl. 34. Roman Catholic church, Tsyhany, marriage register, from extract supplied by Gary Duschl. 35. Roman Catholic church, Tsyhany, burial register, from extract supplied by Gary Duschl. 36. All baptisms from records of the Roman Catholic Church, Tsyhany, from extracts supplied by Gary Duschl. 37. Roman Catholic church, Tsyhany, baptismal register, from extract supplied by Gary Duschl. 38. Roman Catholic church, Tsyhany, marriage register, from extract supplied by Gary Duschl. 39. Greek Catholic church, Tsyhany, baptismal register, from extracts supplied by Chris Bostwick. 40. Roman Catholic church, Tsyhany, burial register, from extract supplied by Gary Duschl. 41. Greek Catholic church, Tsyhany, baptismal register, from extracts supplied by Chris Bostwick. 42. Roman Catholic church, Tsyhany, burial register, from extract supplied by Gary Duschl. 43. Greek Catholic church, Tsyhany, baptismal register, from extracts supplied by Chris Bostwick. 44. Greek Catholic church, Tsyhany, baptismal register, from extracts supplied by Chris Bostwick. 45. Greek Catholic church, Tsyhany, baptismal register, from extracts supplied by Chris Bostwick. 46. Roman Catholic church, Tsyhany, burial register, from extract supplied by Gary Duschl. 48. Greek Catholic church, Tsyhany, baptismal register, from extracts supplied by Chris Bostwick. 50. Roman Catholic church, Tsyhany, burial register, from extract supplied by Gary Duschl. 51. All baptisms from Roman Catholic church, Tsyhany, baptismal register, from extracts supplied by Gary Duschl. 52. This record is largely illegible because filmed out-of-focus. 55. Greek Catholic church, Tsyhany, baptismal register, from extracts supplied by Chris Bostwick. 56. Greek Catholic church, Tsyhany, baptismal register, from extracts supplied by Gary Duschl. 57. Greek Catholic church, Tsyhany, baptismal register, from extracts supplied by Chris Bostwick. 58. Greek Catholic church, Tsyhany, baptismal register, from extracts supplied by Chris Bostwick. 59. Greek Catholic church, Tsyhany, baptismal register, from extracts supplied by Chris Bostwick. 60. Greek Catholic church, Tsyhany, baptismal register, from extracts supplied by Chris Bostwick. 61. Greek Catholic church, Tsyhany, baptismal register, from extracts supplied by Chris Bostwick. 62. Roman Catholic church, Tsyhany, baptismal register, from extracts supplied by Gary Duschl. 63. Roman Catholic church, Tsyhany, burial register, from extracts supplied by Gary Duschl. 66. Roman Catholic church, Tsyhany, baptismal register, from extracts supplied by Gary Duschl. 67. All baptisms from records of the Roman Catholic Church, Tsyhany, from extracts supplied by Gary Duschl. 68. Roman Catholic church, Tsyhany, marriage register, from extracts supplied by Gary Duschl. 69. Death notice of Mary Waroway, Manitoba death registrations, no. 1914,087166, which gives a wildly exaggerated age at death of 89, states her date of birth as 20 August 1825 (! ), and names her parents as J. Solonynka and Agathe Syracusa, which disagrees with her marriage record, and is perhaps a garbled memory of the names of her paternal grandparents, who may have helped raise her after her father’s very early death. The record of her parents’ marriage, which took place on 3 November 1839 in the Catholic church, Tsyhany, gives the names of the parties (in latinized form) as “Procopius, Jacobi et Mariannæ Sołonynka filius,” of house no. 41, Tsyhany, and “Agnes, Lucæ Bazczak et Franciscæ filia.” In turn, the 1812 marriage record of Prokop’s parents name them as Jacob Sołonynka, of house no. 39, Tsyhany, and Marianna, daughter of Paulus Szewcuza [? illegible]. For these last two records we are indebted to Gary Duschl. 71. Winnipeg Free Press, 14 March 1914, p. 4, col. 3. 72. Roman Catholic church, Tsyhany, baptismal register, from extracts supplied by Gary Duschl. 73. Roman Catholic church, Tsyhany, burial register, from extracts supplied by Gary Duschl. 74. Her birthdate is given as 4 July 1865 in 1901 census but as October 1866 in the 1911 census; her age is given as 18 (implying a birthdate of 1865-66) in her marriage record, and as 39 (implying a birthdate of 1866-67) in the 1906 census; and her age at death of 94 years (see below) in 1963 would make her birth in 1868-69. 75. Death notice, Dauphin Herald, 16 October 1963, p. 3, col. 4. Kaye (1:18), whose arithmetic is often not very exact, alludes to this death notice but cites the date incorrectly, and uses it as his source for a calculated birthdate for her and two different ages at death, all of which are wrong. As noted above, the age reported for her in her death notice would place her birthdate later than that implied by census records. 76. Roman Catholic church, Tsyhany, marriage register, from extracts supplied by Gary Duschl. The marriage year of 1882 given in her death notice is incorrect. 77. Kaye, Dictionary of Ukrainian Canadian Biography, 1:18-19. Kaye’s undocumented birthdate of 1859 for Wasyl Demchuk is not supported by the latter’s tombstone. 78. His age is given as 49 years in the 1906 census, supporting a birthdate of 1856-57. 79. Death notice, Dauphin Herald and Press, 15 March 1934, p. 5, col. 5. 80. Although this suggests a birthdate of ca. 1856-57, which is serious disagreement with his birthdate as reported in the 1900 census. 81. Elsie Lesyk, Sifton Then and Now: A Reminiscence of the Pioneer Era, 315. 82. “Toma Demchuk of Ukraina,” in Michael Ewanchuk, Pioneer Settlers: Ukrainians in the Dauphin area, 1896-1926 (1988), 159-60, at p. 159. 84. Demetrius P. Demchuk, The Demchuk Family (1778-1910), typescript, from a copy kindly supplied by Larry Hrehirchuk. An edition of these notes by the present compiler is available online at http://johnblythedobson.org/genealogy/documents/ Demchuk_history_edited.pdf [PDF]. 85. Roman Catholic church, Tsyhany, baptismal register, from extracts supplied by Gary Duschl. 86. Greek Catholic church, Tsyhany, baptismal register, from extracts supplied by Chris Bostwick. 87. Greek Catholic Church, Tsyhany, baptismal register, from extracts supplied by Chris Bostwick. 88. Catholic church, Tsyhany, baptismal register, from extracts supplied by Gary Duschl. 89. Greek Catholic church, Tsyhany, baptismal register, from extracts supplied by Chris Bostwick. 90. Greek Catholic church, Tsyhany, baptismal register, from extracts supplied by Chris Bostwick. 91. Greek Catholic church, Tsyhany, baptismal register, from extracts supplied by Chris Bostwick. 92. Roman Catholic church, Tsyhany, burial register, from extracts supplied by Gary Duschl. 93. Death notice, Winnipeg Free Press, Monday, 26 March 1945, col. 5, noting death on “Saturday,” from a copy kindly supplied by Diana Kuzyk. 94. Border Crossings from Canada to U.S., 1895-1956, online database at Ancestry.com. 95. British Columbia death registrations, 1982-09-014024; original record not checked. 96. Death notice, Winnipeg Free Press, 28 August 1982, p. 42, col. 2. 97. Death notice of John Jaworski, Winnipeg Free Press, 14 June 1966, p. 28. 99. Quarterly Supplement to Canadian Official Postal Guide, April 1913 (Ottawa, 1913), p. 7.
name	relationship age  birthplace  immigration  naturalization  occ. 101. Report of the Department of [the] Provincial Secretary [of Manitoba] for the year ending November 30th 1918 (Winnipeg, 1919), p. 4. 102. Records of Aliens Pre-Examined in Canada, 1917-1954, database at Ancestry.com, where however the transcription of his place of birth as “Breczord” is not compatible with the handwriting in the rest of the document. 103. Canadian Grocer, vol. 25, no.3 (20 January 1911), p. 67, col. 1. 104. Manitoba birth registrations, no. 1907,010134; original record not checked. 105. British Columbia death registrations, no. 1983-09-016277; original record not checked. 106. Winnipeg marriage registrations, no. 1930,048279; original record not seen. 107. British Columbia death registrations, no. 1981-09-004314; original record not checked. 108. Manitoba birth registrations, no. 1909,010344; original record not checked. 109. Winnipeg marriage registrations, no. 1931,031297; original record not seen. 111. Roman Catholic church, Tsyhany, marriage register, from extracts supplied by Gary Duschl. 112. Manitoba death registrations, 1935-024353, Steve Schykulski, from index entry. 113. “Stefan Schykulski,” in Kaye, op. cit., 1:87, but note that this source incorrectly states the subject’s parentage. 114. See cemetery transcription in Lesyk, Sifton Then and Now, 319-20. 115. Greek Catholic church, Tsyhany, baptismal register, from extracts supplied by Chris Bostwick. 116. Grandview Exponent, 6 January 1982, p. 15, col. 3. 117. Per her husband’s death notice. 118. Death notice of Joseph Kustra, Dauphin Herald, 2 May 1958, p. 3, col. 2; Kaye, op. cit., 1:56, 87. 119. “Pleasant Valley,” Grandview Exponent, 14 July 1982, p. 8, col. 2. 120. Birth registration of Josie Kuster (sic), mother’s maiden surname Mary Schykulski, Manitoba birth registrations no. 1911-23822983, from index entry. 121. Death notice of Josephine Fitzimmons (nee Kustra), Winnipeg Free Press, 24 June 2000, p. C13, col. 4. 122. Birth registration of Frank Kustra, mother’s maiden surname Maria Schekulska, Manitoba birth registrations no. 1914-086377, from index entry. 123. Death notice of Emily Elizabeth Barabash, Grandview Exponent, 20 August 2002, p. 13, cols. 3-4. 124. We have not found an actual death notice, but two In Memoriam notices appear in the Grandview Exponent, 23 May 1973, p. 2, col. 6. 125. Greek Catholic church, Tsyhany, baptismal register, from extracts supplied by Chris Bostwick. 126. See the entry for this man in Vladimir J. Kaye, Dictionary of Ukrainian Canadian Biography [vol. 1] — Pioneer Settlers of Manitoba, 1891-1900 (Toronto, 1975), 108-9. 127. Jan Semczyszyn is probably the Joannes Semczyszyn born 16 April 1811 and baptized in the Roman Catholic church, Tsyhany, son of Joannes Semczyzcen and Helena Czornobaj. His wife, Helen, born 1808-09 (by calculation), died 26 July 1853, aged 44 years, and as “Helena, laboriosi Joannis Senczyszen [sic] uxor,” was buried the next day at Tsyhany. 128. Kaye, op. cit., 1:109, citing Dauphin Herald, 5 May 1955. 129. Kaye, op. cit., 1:9. 130. Greek Catholic church, Tsyhany, baptismal register, from extracts supplied by Chris Bostwick. 131. Roman Catholic church, Tsyhany, baptismal register, from extracts supplied by Gary Duschl. 132. Roman Catholic church, Tsyhany, burial register, from extracts supplied by Gary Duschl. 133. Greek Catholic church, Tsyhany, baptismal register, from extracts supplied by Chris Bostwick. 134. Death notice, Dauphin Herald, 17 April 1968, p. 4, col. 5. 135. Petro-Warowy – Anna Dragon marriage record, Manitoba marriage registrations no. 1906-06-004611, from a copy kindly supplied by Diana Kuzyk. 136. See the entry for this man in Vladimir J. Kaye, Dictionary of Ukrainian Canadian Biography [vol. 1] — Pioneer Settlers of Manitoba, 1891-1900 (Toronto, 1975), 108-9. The date of death is from his death notice in the Dauphin Herald & Press, 15 May 1953, p. 3, col. 2. 138. According to Kaye, but we cannot find a corresponding entry in the online index to Manitoba marriage registrations. 139. The date of 30 March 1888 as given in Kaye, p. 83, would make her 11½ at her marriage. 140. See “Wasyl Rehirchuk [sic],” in Vladimir J. Kaye, Dictionary of Ukrainian Canadian Biography [vol. 1] — Pioneer Settlers of Manitoba, 1891-1900 (Toronto, 1975), 83. 141. Information from Borislaw Bilash II, received from his grandmother Mary (Waroway) Bilash. 142. Manitoba marriage registrations, no. 1926,031276; original record not seen. 143. Michael Ewanchuk, Pioneer Settlers: Ukrainians in the Dauphin Area, 1896-1926 (1988), p. 45. 144. Michael Ewanchuk, Reflections and Reminiscences: Ukrainians in Canada, 1892-1992 (Winnipeg, 1995), 123-26; Vertical Development: A New Generation of Ukrainian Canadians (Winnipeg, 2000), 1-4. 145. Dauphin Herald and Press, 8 Jan 1925, p. 1, col. 5. 146. Marriage record, digital image available in FamilySearch, Michigan Marriages, 1868-1925. The official record of the marriage, which gives the date as 27 December 1924, calls him Michael Waroway, aged 21 years, born in Manitoba, son of Stephen Waroway and Anne Hoyhirt [sic], and her Charlotte Maksimiec, aged 18 years, born in Pennsylvania, daughter of Alexander Maksimiec. 147. Information from Borislaw Bilash II. 148. Death notice, Winnipeg Free Press, 14 June 2003, p. C12, col. 5. 149. Death notice, Winnipeg Free Press, 1 September 2002. 150. Roman Catholic church, Tsyhany, burial register, from extracts supplied by Gary Duschl. 151. Roman Catholic church, Tsyhany, marriage register, from extracts supplied by Gary Duschl. 152. Roman Catholic church, Tsyhany, burial register, from extracts supplied by Gary Duschl. 153. This is possibly the Sebastianus Podgurski who died 16 August 1796 in house no. 28, Tsyhany, aged 70 years (Roman Catholic burial record, supplied by Gary Duschl). 154. Roman Catholic church, Tsyhany, baptismal register, from extracts supplied by Gary Duschl. 155. Roman Catholic church, Tsyhany, marriage register, from extracts supplied by Gary Duschl. 156. We are grateful to Gary Duschl for pointing out this connection. 157. All baptisms from Roman Catholic church, Tsyhany, baptismal register, from extracts supplied by Gary Duschl. 158. Roman Catholic church, Tsyhany, marriage register, from extracts supplied by Gary Duschl. 159. Roman Catholic church, Tsyhany, burial register, from extracts supplied by Gary Duschl. 160. Roman Catholic church, Tsyhany, marriage register, from extracts supplied by Gary Duschl. 161. Roman Catholic church, Tsyhany, burial register, from extracts supplied by Gary Duschl. 162. Losiac Catholic church records, from extracts supplied by Gary Duschl. 163. Losiac Catholic church records, from extracts supplied by Gary Duschl. 164. Roman Catholic church, Tsyhany, marriage register, from extracts supplied by Gary Duschl. 165. Roman Catholic church, Tsyhany, burial register, from extracts supplied by Gary Duschl. 166. Roman Catholic church, Tsyhany, marriage register, from extracts supplied by Gary Duschl. 167. Roman Catholic church, Tsyhany, burial register, from extracts supplied by Gary Duschl. 168. All baptisms from Tsyhany Roman Catholic baptismal register, from extracts provided by Gary Duschl. 169. Tsyhany Roman Catholic burial register, from extracts provided by Gary Duschl. 170. Roman Catholic church, Tsyhany, marriage register, from extracts supplied by Gary Duschl. 171. Tsyhany Roman Catholic baptismal register, from extracts provided by Gary Duschl. 172. Tsyhany Roman Catholic burial register, from extracts provided by Gary Duschl. 173. Tsyhany Roman Catholic baptismal register, from extracts provided by Gary Duschl. 174. Tsyhany Roman Catholic burial register, from extracts provided by Gary Duschl. 175. Tsyhany Roman Catholic baptismal register, from extracts provided by Gary Duschl. 176. Tsyhany Roman Catholic baptismal register, from extracts provided by Gary Duschl. 177. Tsyhany Roman Catholic burial register, from extracts provided by Gary Duschl. 178. Tsyhany Roman Catholic baptismal register, from extracts provided by Gary Duschl. 179. Tsyhany Roman Catholic burial register, from extracts provided by Gary Duschl. 180. Tsyhany burial register copy. 181. Roman Catholic church, Tsyhany, burial register, from extracts provided by Gary Duschl. 182. Roman Catholic church, Tsyhany, marriage register, from extracts supplied by Gary Duschl. 183. Roman Catholic church, Tsyhany, burial register, from extracts supplied by Gary Duschl. 184. Roman Catholic church, Tsyhany, marriage register, from extracts supplied by Gary Duschl. 185. Roman Catholic church, Tsyhany, marriage register, from extracts supplied by Gary Duschl. 187. Roman Catholic church, Tsyhany, marriage register, from extracts supplied by Gary Duschl. 188. Catholic church, Tsyhany, baptismal register, from extracts supplied by Gary Duschl. 189. Greek Catholic church, Tsyhany, baptismal register, from extracts supplied by Chris Bostwick. 190. Catholic church, Tsyhany, burial register, from extracts supplied by Gary Duschl. 191. Greek Catholic church, Tsyhany, baptismal register, from extracts supplied by Chris Bostwick. 192. Greek Catholic church, Tsyhany, baptismal register, from extracts supplied by Chris Bostwick. 193. Greek Catholic church, Tsyhany, baptismal register, from extracts supplied by Chris Bostwick. 194. Tsyhany Catholic burial register, from extracts provided by Gary Duschl. 195. Greek Catholic church, Tsyhany, baptismal register, from extracts supplied by Chris Bostwick. 196. Greek Catholic church, Tsyhany, baptismal register, from extracts supplied by Chris Bostwick. 197. Tsyhany Catholic burial register, from extracts provided by Gary Duschl. 198. Tsyhany Roman Catholic baptismal register, from extracts provided by Gary Duschl. The baptismal record of the daughter Anna is also mentioned by M. J. Bostwick in “Brylinski, Kostiuk, Warowy,” posting to dated 9 May 2005, at http://boards.ancestry.com/localities.ceeurope.poland.unknown/ 5731.2822/mb.ashx. 199. Tsyhany Roman Catholic marriage register, from extracts provided by Gary Duschl. 201. Tsyhany Roman Catholic baptismal register, from extracts provided by Gary Duschl. 202. Tsyhany Roman Catholic baptismal register, from extracts provided by Gary Duschl. 203. Tsyhany Roman Catholic burial register, from extracts provided by Gary Duschl. 204. We are grateful to Gary Duschl for this suggestion. 205. Tsyhany Roman Catholic baptismal register, from extracts provided by Gary Duschl. 206. Tsyhany Roman Catholic burial register, from extracts provided by Gary Duschl. 207. We are grateful to Gary Duschl for this suggestion. 208. Tsyhany Roman Catholic burial register, from extracts provided by Gary Duschl. 209. Tsyhany Roman Catholic baptismal register, from extracts provided by Gary Duschl. 210. Tsyhany Roman Catholic burial register, from extracts provided by Gary Duschl. 211. Tsyhany Roman Catholic marriage register, from extracts provided by Gary Duschl. 212. Tsyhany Greek Catholic baptismal register, from extracts provided by Chris Bostwick. This record is also mentioned in M. J. Bostwick, “Brylinski, Kostiuk, Warowy,” posting to dated 9 May 2005, at http://boards.ancestry.com/localities.ceeurope.poland.unknown/ 5731.2822/mb.ashx. 213. Manitoba death registrations, no. 1936,051048; original record not seen. 214. Tsyhany Greek Catholic baptismal register, from extracts provided by Chris Bostwick. 215. Manitoba death registrations, no. 1936,051048; original record not seen. 216. Death notice, Winnipeg Free Press, 23 (?) February 1973, from a copy kindly supplied by Diana Kuzyk. 217. Greek Catholic church, Tsyhany, baptismal register, from extracts supplied by Chris Bostwick. 218. Roman Catholic church, Tsyhany, baptismal register, from extracts supplied by Gary Duschl. 219. Roman Catholic church, Tsyhany, burial register, from extracts supplied by Gary Duschl. 220. Roman Catholic church, Tsyhany, marriage register, from extracts supplied by Gary Duschl. 221. Roman Catholic church, Tsyhany, burial register, from extracts supplied by Gary Duschl. 222. Roman Catholic church, Tsyhany, burial register, from extracts supplied by Gary Duschl. 223. All baptisms from records of the Roman Catholic Church, Tsyhany, from extracts supplied by Gary Duschl. We do not cite the wording of the baptismal records in detail because the name of the mother is so distinctive, there is no possibility of confusion with any other Warowy family group. 224. Roman Catholic church, Tsyhany, burial register, from extracts supplied by Gary Duschl. 225. Catholic church, Tsyhany, marriage register, from extracts supplied by Gary Duschl. 226. Roman Catholic church, Tsyhany, burial register, from extracts supplied by Gary Duschl. 227. Catholic church, Tsyhany, burial register, from extracts supplied by Gary Duschl. 228. Catholic church, Tsyhany, marriage register, from extracts supplied by Gary Duschl. 229. Greek Catholic church, Tsyhany, baptismal register, from extracts supplied by Chris Bostwick. 230. Catholic church, Tsyhany, burial register, from extracts supplied by Gary Duschl. 231. Catholic church, Tsyhany, baptismal register, from extracts supplied by Gary Duschl. 232. Catholic church, Tsyhany, burial register, from extracts supplied by Gary Duschl. 233. Catholic church, Tsyhany, marriage register, from extracts supplied by Gary Duschl. 234. Roman Catholic church, Tsyhany, burial register, from extracts supplied by Gary Duschl. 235. Roman Catholic church, Tsyhany, burial register, from extracts supplied by Chris Bostwick. 236. Roman Catholic church, Tsyhany, burial register, from extracts supplied by Gary Duschl. 237. Roman Catholic church, Tsyhany, marriage register, from extracts supplied by Gary Duschl. 238. Roman Catholic church, Tsyhany, burial register, from extracts supplied by Gary Duschl. 239. Roman Catholic church, Tsyhany, baptismal register, from extracts supplied by Gary Duschl. 240. Roman Catholic church, Tsyhany, baptismal register, from extracts supplied by Gary Duschl. 241. Roman Catholic church, Tsyhany, burial register, from extracts supplied by Gary Duschl. 242. Greek Catholic church, Tsyhany, baptismal register, from extracts supplied by Chris Bostwick. 243. Roman Catholic church, Tsyhany, burial register, from extracts supplied by Gary Duschl. 244. Roman Catholic church, Tsyhany, burial register, from extracts supplied by Gary Duschl. 245. Roman Catholic church, Tsyhany, burial register, from extracts supplied by Gary Duschl. 246. Roman Catholic church, Tsyhany, burial register, from extracts supplied by Gary Duschl. 247. Greek Catholic church, Tsyhany, baptismal register, from extracts supplied by Chris Bostwick. 248. Manitoba death registrations, no. 1940-06-04438, naming parents as Michael Warowy 9born at Syhany, Poland) and Katerine Lubanski (also born at Cyany), from a copy supplied by Diana Kuzyk. 249. Greek Catholic church, Tsyhany, baptismal register, from extracts supplied by Chris Bostwick. 250. Ship passenger lists, supplied by Diana Kuzyk. 251. The researches of Gary Duschl have determined that Michael Chornoboy was born in December 1869 at Tsyhany, so it is possible he was related to the Czornobaj women mentioned elsewhere in this page. 252. Manitoba marriage registrations, no. 1940-06-039602, from a copy supplied by Diana Kuzyk.